Business Security & Monitoring Systems from Vintage Security. A trusted partner for small businesses in Maryland, Washington D.C., and Northern Virginia. Call today. We at Vintage Security understand the importance of security and safety to your business. 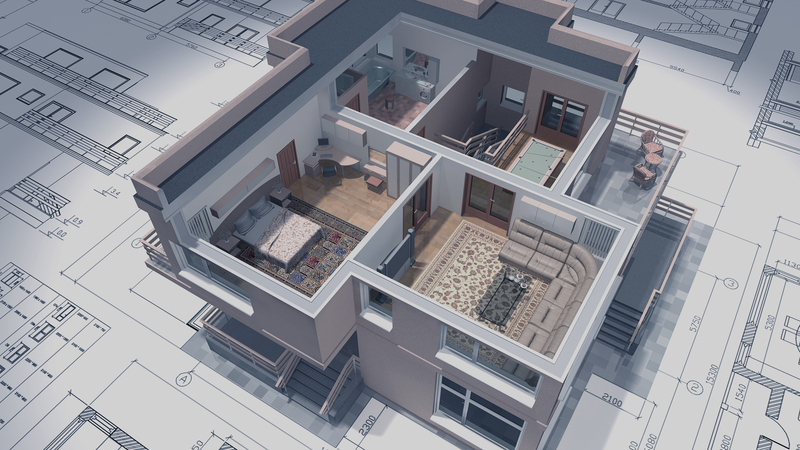 A consultant will review your needs and build a custom system to meet your budget. Our skilled installers will treat your business like it is their own. Our service team is on-call 24 hours a day, 7 days a week. Secure your business with a system you can access from anywhere. Multiple user capabilities allow employees to each have a unique code that you can change, add, or delete from your smartphone instantaneously. Real time notifications allow you to know when you business is armed and disarmed by employees as well as auto arm if they have forgotten to arm. Receive on- demand activity, or opening and closing reports. Integrate multiple locations into one unified interface for remote management. We have a video solutions for your business. 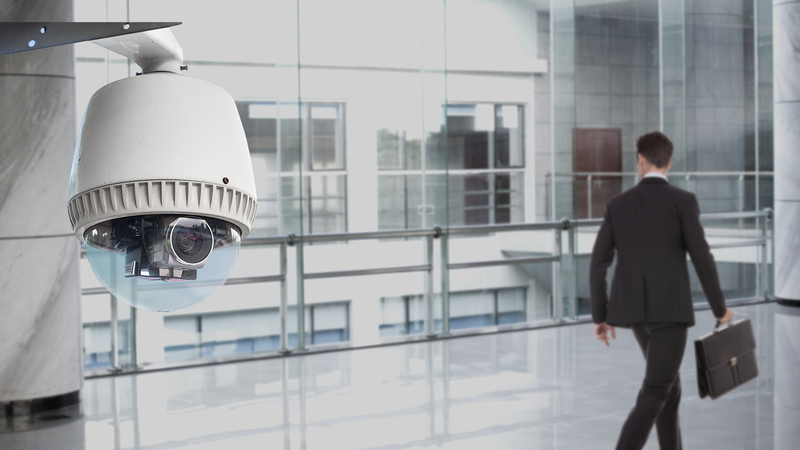 Systems can be fully integrated with security so that you can receive video clips of activity sent right to your phone or email. Cloud and local recording solutions are available fit your needs and budget. 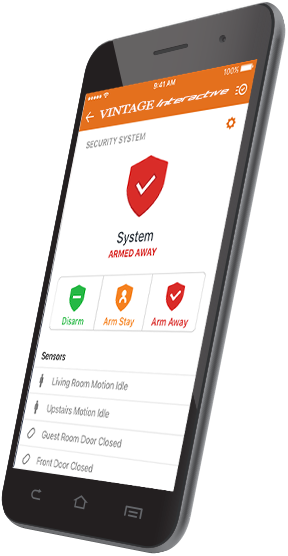 Sensor based recording allow you to get recorded clips based on doors opening or any other opening with a security based sensor. 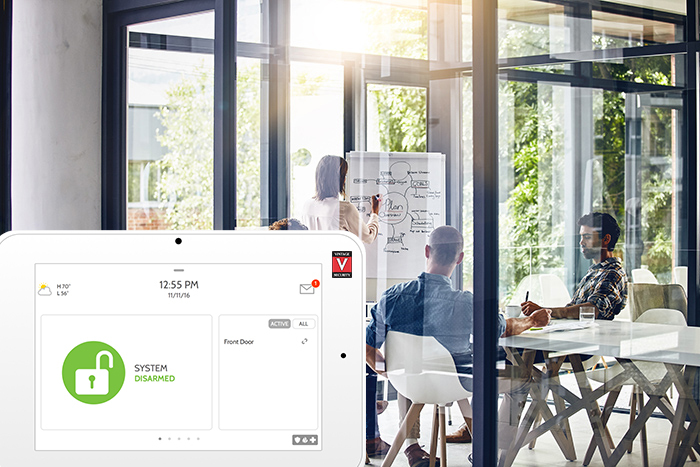 Control access to your business with a cloud-based access control solution that allow you to manage access from anywhere. Security integration allows your system to automatically disarm when a credential is present for access. On demand reports will give you entry and exiting activity for all your employees. manage multiple locations from one interface. Save money on your energy costs buy installing a smart thermostat that is integrated with your security. 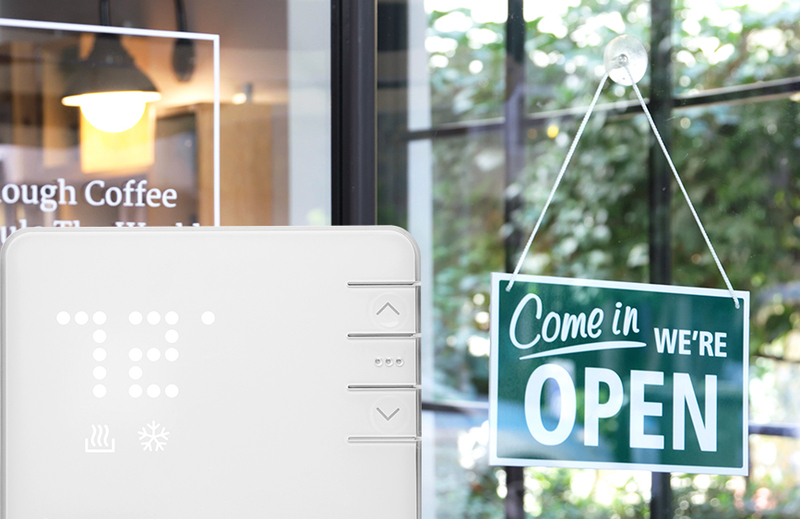 No more locking covers with our smart thermostat where local control can be locked out remotely. You can have your thermostat settings change with the occupancy of the business. Get high and low temperature notifications or add additional temperature sensors to monitor the comfort throughout the building. It can also be control remotely for manual temperature changes.